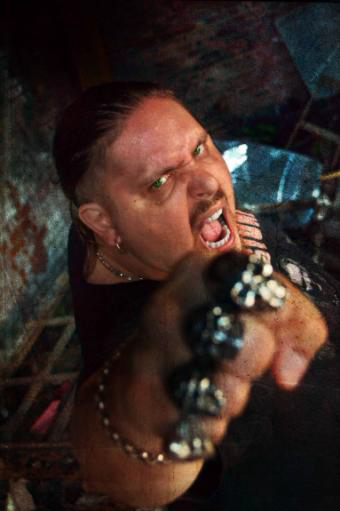 Brimstone has had a successful and rewarding career spanning well over three decades; participating in numerous entertainment fields boasting a list of titles including professional wrestler, radio host, actor, voice actor, author, musician, philanthropist, food critic, horror model, and comic book/animated/children‟s book/video game hero. 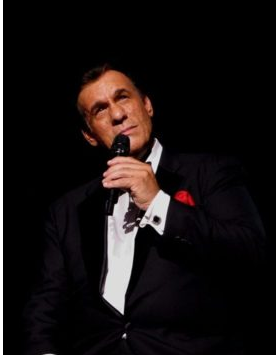 He‟s been called a Renaissance man by many, but more accurately described as an entertainment entrepreneur. As a child actor, he made appearances on iconic pop culture shows such as Sesame Street and Romper Room. He later became best known for his career in professional wrestling where he has made countless appearances worldwide for the leaders in sports entertainment and throughout the Independents. 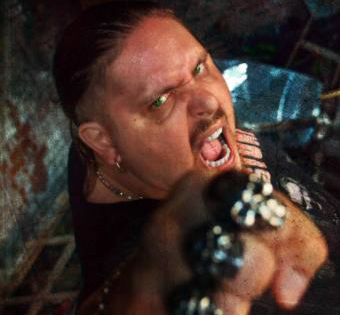 Brimstone has had a long history appearing in various films, television programming, short films, documentaries, video game voice acting, and cameos in music videos. Notable nationally televised appearances include WWF Superstars, MTV‟s TRL, and The Ricki Lake Show as well as countless appearances on local affiliates including NBC, CBS, ABC and The CW. He‟s been featured in documentaries including Wrestling Then & Now and Standing in the Stars: The Peter Mayhew Story as well as music videos like, Touch & Go by rapper Joe Budden, Dawn Monroe‟s Get it Poppin, Bethany Davis‟ Lose Control and multiple videos by Frank Lucas, Jr. (Street Star and Let’s Go). He‟s also been credited with background vocals on guitarist Bumblefoot‟s 2015 release, Little Brother is Watching. Video game voice-over credits include, Seduce Me 2: The Demon War, Brimstone‟s own, Wasteland Wars, Forza Infernis & GHR: The Great Airspace Chase; and is voicing the character Yolo in the 2017 release of the game, Liquid Metal. He played the killer in the 2010 horror film, Killer Hoo-Ha! as well as roles in independent films like, Bloodline, The Roadhouse and many more. 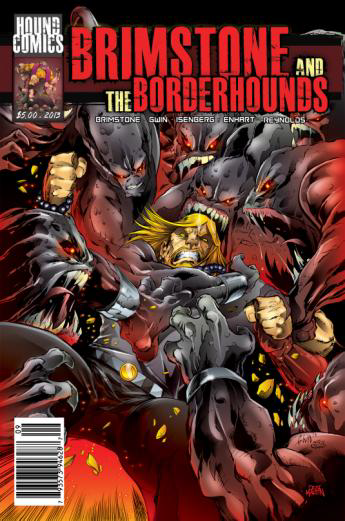 As the co-founder, President, and CEO of Hound Comics, Inc. (Hound Entertainment Group), Brimstone and his team of creators launched his comic book series, Brimstone and The Borderhounds on October 31, 2010 at Borders Books and as of January 11, 2011 went nation and worldwide via Barnes & Noble, B.Dalton, BN.com, and Amazon. The Borderhounds brand has since then expanded with a variety of Brimstone branded products including (but not limited to) the “Border-Pups” children’s book series, coloring books, video games, plush toys, and the Animated Series. Furthermore, under the leadership of Brimstone, Hound Entertainment has also expanded tremendously and aggressively over the years with the addition of publishing over forty different creator-owned projects between the brands Hound Comics, Hound Publishing, Co-Exist Publishing, and Hound Kids. The most recent of his endeavors has been becoming the host of The Grindhouse Radio, a pop culture talk-based podcast that is currently syndicated on eighteen digital & terrestrial radio networks (including iHeartRadio & Google Play Radio) worldwide with a listenership of between 3.5 – 4 million weekly. Filming has begun on a televised sitcom spin-off of GHR entitled, Behind the Grind that will be available on Amazon Fire TV, Roku TV and Apple TV. Brimstone is involved in licensing and partnerships with Eastsport Backpacks for Brimstone branded merchandise sold on WalMart.com and featured on The Big Bang Theory; Troll Lord Games for the Brimstone Role Playing Game, CaJohn‟s Fiery Foods (Brimstone line of multi-award winning gourmet sauces and seasonings), The Jerky Connection (Brimstone Jerky), Demeter Fragrances (Cologne/Perfume), 3 Coconut Monkey (Vinyl/Plush Toys), Algocrunch (Brimstone video game apps), Pro Wrestling Tees (Brimstone T-Shirts), Dragon Song Forge (Brimstone Swords), Sweet Hollywood LA (Brimstone Chocolate Bars), East Coast Roast (Brimstone Coffee Line), Nifty Candy (Brimstone Candy Line), Serenity Custom Drums, and ButterWinks Cookies among countless others. Brimstone is sponsored by All Music Inc. and endorsed by Worldwide Feather Tribe, INOX Jewelry, Sigil of Baphomet, Fathom Clothing, Rel3ntless Clothing, Bulky Boy Brand Clothing, Life Snapback Hats, Monster Energy, Yelp, CoKreeate, Yogibo, and Club Fit 24/7. Brimstone is a celebrity brand ambassador for Loot Crate and Jerrick Media‟s „Romper Zombie‟ brand. He has been featured in Wall Street Journal Best Selling books The Bra Book and Worth Every Penny as well as internationally recognized magazines including Maxim. Brimstone also starred as the host of Food Hound: Tidbits which was a web-based celebrity food show filmed while on tour making appearances at pop culture conventions around the country including events such as Wizard World, Stan Lee’s Comikaze, San Diego Comic Con and New York Comic Con. As a result of the show restaurants around the United States have added Brimstone-themed products to their existing menus including The Brimstone spiked milkshake at My Burger Bar in Buffalo, Dust from Hell Wings at Even Flow Bar & Grill and The Brimstone Pizza at Mulberry Street Restaurant on Long Island, The Brimstone Philly Grindhouse Burger at The Baroness Bar in LI City, and a variety of Brimstone-related dishes around the country. 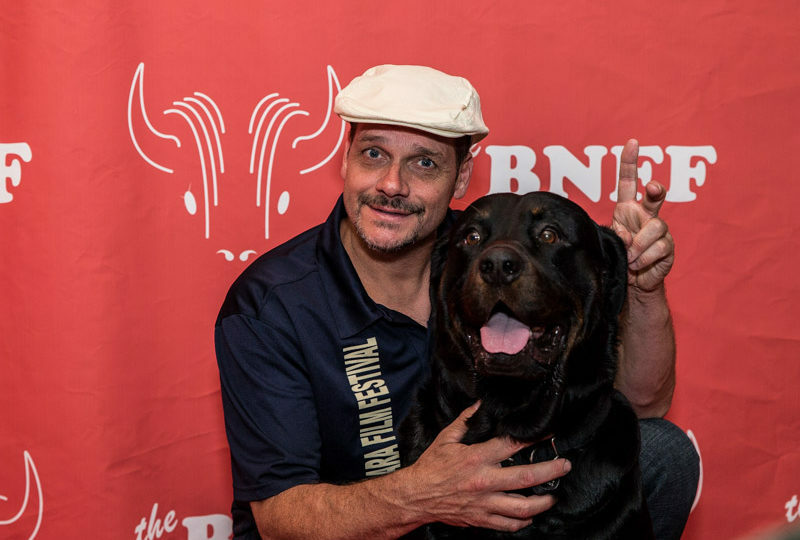 Aside from accommodating promoters nationwide by hosting his own panels – Brimstone‟s charm, wit, and ability to engage large crowds has led him to adding the roles of celebrity host, judge, and moderator to his already massive resume. Brim has been entrusted with these duties at an array of different events and functions from pop culture to foodie based. He‟s had the pleasure of moderating talents including George Takei (Star Trek), Seth Gilliam (The Walking Dead), John DiMaggio (Adventure Time) for Awesome Con, Lincoln A. Castellanos (Fear the Walking Dead) for Walker Stalker Con and was reunited with Caroll (Big Bird) Spinney for the first time off-screen in well over three decades for a PBS panel at The Great Philadelphia Comic Con. In the foodie world, he‟s graced the Celebrity Chef stage at events such as Zest Fest Midwest, played the roles of head judge and host of the Long Island Wing Festival for four consecutive years, and hosted the ultra hot pepper eating contest for Maxim Magazine as well as countless other eating competitions around the country. Brim‟s tough guy persona aside, he is a regular when it comes to providing PG entertainment, seminars and presentations at schools, libraries and kid‟s days nationwide. On top of his grueling schedule, he selflessly acts as a celebrity spokesperson for the Stan Lee Foundation, Jaime Isaacs Foundation, and RADD (Rockers Actors and Athletes against Driving Drunk) and aspires to be cast as a contestant on the Celebrity Apprentice to raise money and awareness for his chosen charity. Whether it be poking fun at himself by shucking clams, or visiting the United Cerebral Palsy Foundation to give out stuffed animals and spend time with the kids – Brim has a heart of gold and will do just about anything to support a good cause. In 2015, he partnered with the Empire Saber Guild (An Official Lucas Film, Star Wars Costuming Group) to create an exclusive trading card for St. Mary‟s portraying Brimstone as a Sith Lord for charity. An avid philanthropist at heart, Brimstone subjected himself to be roasted for charity in 2010 and has been featured on NBC‟s Cause Celeb twice concerning his efforts. 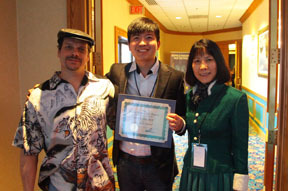 Furthermore, he works directly with Build-A-Bear Workshop, whom is a sponsor of his international children‟s initiative. Brim claims that the cherry on top of his successes is the signature drink “The Brimstone Red” created for him by the Jack Daniel‟s Distillery, the use of Brimstone related product on The Big Bang Theory – season 7 & 8, his hand in wax on display at the Ripley’s Believe It or Not Wax Museum in San Antonio Texas, recognition of his philanthropy on MSNBC, his brand partnership with Giphy.com, being drafted as a Special Forces Commander for the Zombie Survival Crew alongside Michael Rooker & Norman Reedus, and the spotlight on himself and Hound via the legendary Stan Lee‟s official website. Other notable accomplishments include a 2008 Award from the Professional Wrestling Hall of Fame, a 2014 Rule Breaker Award for Best Manufacturer with revenue under $1M for Hound Comics, Inc., and The Grindhouse Radio being voted and awarded, „Best Radio Station on Long Island 2017‟ in the 12th Annual Best of Long Island Competition.